Paul Pogba appears to have taken an indirect dig at Jose Mourinho for his dismissal as Manchester United’s vice-captain. Despite the Red Devils’ record signing and first-team coach not sharing the best of relationships since the previous season, Pogba was named the team’s vice-captain at the start of the ongoing campaign, which raised quite a few eyebrows. However, it all turned out to be for naught, as the 2018 World Cup winner was soon stripped off his vice-captaincy due to the critical comments he made regarding Mourinho’s not-so-offensive tactics and philosophy. The 25-year-old was also barred from speaking to the English media by the Old Trafford outfit, and the expressive and flamboyant midfielder has remained mum ever since – until this international break. 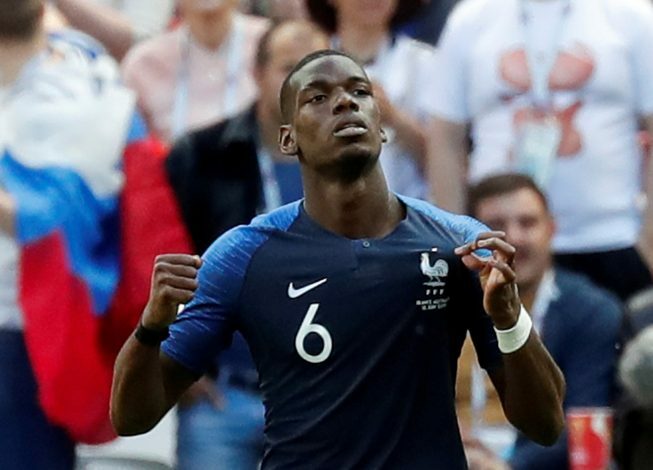 Whilst on duty with Les Bleus, Pogba was asked by the French media whether he had any ambition to lead the national team, to which he replied (via Independent.ie): “I have never played in the France team to be captain, being here is already a big thing for me. While the star midfielder made no direct references to the Mancunian club and its gaffer, France and Arsenal legend Robert Pires was quick to advise Pogba to stay away from the media nonetheless, and direct all his focus onto his trade on the pitch. “For Paul Pogba, the best is to say nothing,” Pires stated. “He’s a great player. If Manchester United paid a lot of money for him, it’s because he’s a good player.